Talk about a good news Friday. Today the Bureau of Labor Statistics reported that our economy added 321,000 jobs in November. That’s 57 consecutive months we’ve added jobs — the longest employment growth streak since America started keeping track. Maria Contreras-Sweet, administrator of the U.S. Small Business Administration. November also marks 10 straight months we’ve added at least 200,000 jobs — a first since the tech boom of the mid-90s. These gains are a product of some smart policy decisions by President Obama as well as a lot of hard work and perseverance by the American people during our recovery from the worst recession in generations. But most of all, this new trajectory is attributable to the success of America’s entrepreneurs and the resurgence of our nation’s small businesses. About 7 million of the 10.9 million jobs we’ve added back were created not by large corporation, but by startups and small enterprises. The U.S. Small Business Administration exists to help small businesses weather economic storms. Our job is to get capital to entrepreneurs when private banks are not. It’s this capital that allows businesses to hire and grow. SBA loans have been on the rise since the recession, and we hit a new plateau this past fiscal year. Our $19.2 billion in lending under our flagship 7a program reached an all-time high. We also invested $5.4 billion in investment capital — another agency record — in America’s high-growth firms through the Small Business Investment Company (SBIC) program. Also, for the first time in eight years, we met our goal of ensuring that 23 percent of all federal contracts went to small businesses. That’s $83 billion worth of revenue for small businesses to hire and grow. Now, we’re seeing national numbers that demonstrate that small businesses are truly leading our recovery. Small businesses have led our comeback from the downturn. For 15 straight quarters, small firms have contributed to employment growth — accounting for as much as 80 percent of job gains in any given quarter. In the years leading up to the recession, small business deaths had outpaced births for the longest period on record. That trend has now been arrested; births have now outpaced deaths for 10 straight quarters. Industries like construction are on the rise, adding back 210,000 jobs in the last year, and 8 out of 10 construction workers are employed by small firms. Business bankruptcies, which peaked toward the end of the recession, have been cut in half since then. And proprietor income has grown by more than 40 percent from the low point during the downturn. These are all metrics that economists use to describe the optimism I see every day when I tour this nation’s small businesses. On Small Business Saturday, I visited half a dozen independent merchants in the Washington metropolitan region, and I heard story after story about upticks in sales and holiday foot traffic. According to one survey, Americans spent $14 billion at local merchants on November 29th alone. With consumer confidence on the rise and businesses investing again, there’s never been a better time for small business owners to contact their local SBA office to grow or scale their business. Go to sba.gov and to learn how we can help your businesses become part of this great economic comeback story. Let’s keep the conversation going on Twitter. Send me a message @MCS4biz and share your recovery story. 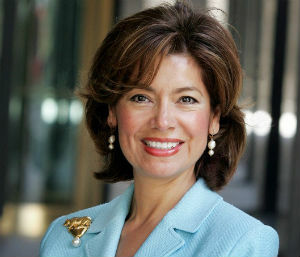 Maria Contreras-Sweet is a successful entrepreneur, business executive and California state official who became the 24th administrator of the U.S. Small Business Administration and a member of President Obama’s Cabinet in April.